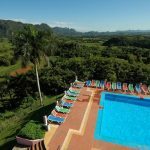 Located some 20kms from Santiago de Cuba in the beautiful foothills of the Sierra Maestre, El Cobre is Cuba’s most important pilgrimage site. 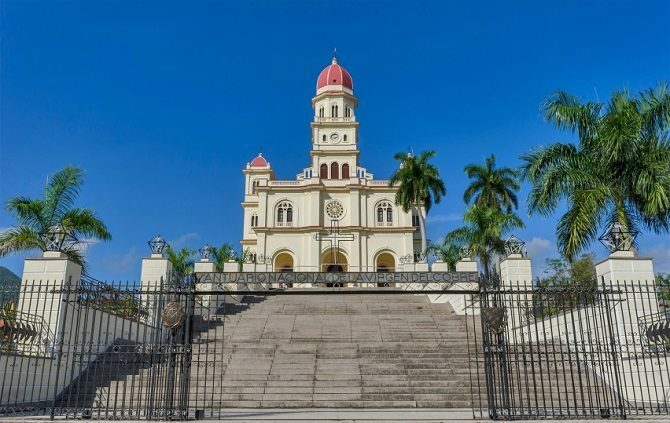 The church – whose catchy full name is El Sanctuario de Nuestra Señora de la Caridad del Cobre – was built in 1927 and houses a black Madonna which many Cubans come to venerate and ask for protection from. 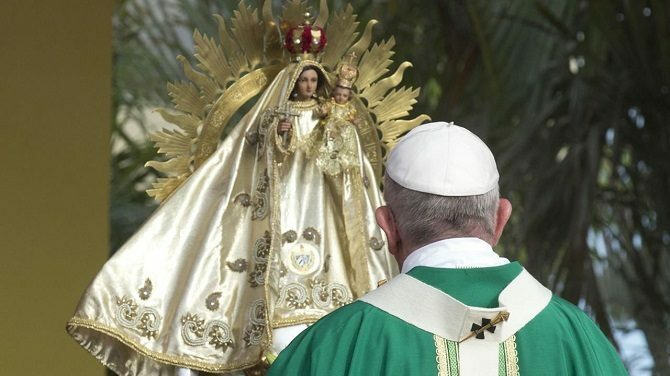 In 1998, the then Pope visited El Cobre, blessed the shrine and referred to the Madonna as the Queen of Cubans. The story of this particular Madonna dates back to 1611 and 3 young fisherman who were about to meet an untimely death in the Bay of Nipe due to a sudden storm. Just as all hope seemed lost, they spotted the Madonna floating nearby and, having recovered her from the water, the 3 men safely made it back to shore. Today, the Madonna is located on the second story of the church behind a glass case. The church is open daily from 6 till 6 and entrance is free. 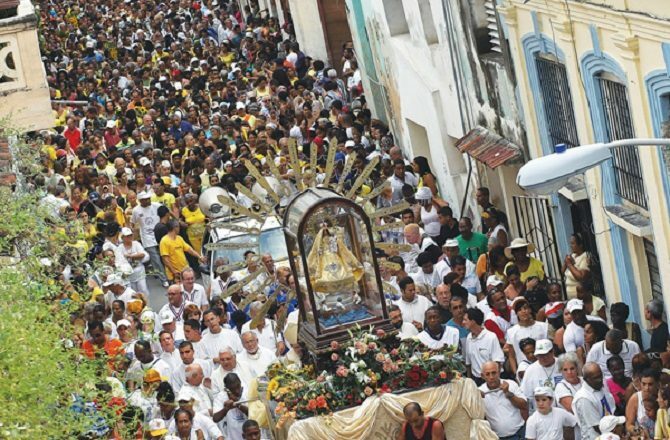 If you are visiting during September, an annual pilgrimage takes place on the 12th of the month. 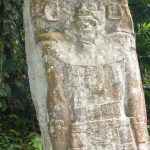 With its proximity to Santiago, El Cobre features high on most travel agencies list of things to see and do in the area. If you don’t wish to book a tour, it’s easy enough to arrange a taxi from town (although you will have to pay for them to wait for you). Many visitors to El Cobre also tag-on a visit to the nearby cemetery which is home to the grave of Jose Marti, one of Cuba’s most revered national heroes. For those clients on a Cuba Fly Drive holiday of the entire island, we normally suggest flying from Havana to Santiago and then slowly driving back along the spine of the island. With that in mind, pretty much the first stop on this route after leaving Santiago is El Cobre. Even for those with no interest in religion or the story, the beautiful setting of El Cobre is reason enough to visit. Alternatively, El Cobre is featured on a number of escorted tours of the island including the Best of Cuba tour.